Fairway woods are often overlooked by players today, especially beginners and high handicappers. They are actually really important not only to cover long distances from the fairway but also to add versatility to your overall gameplay. 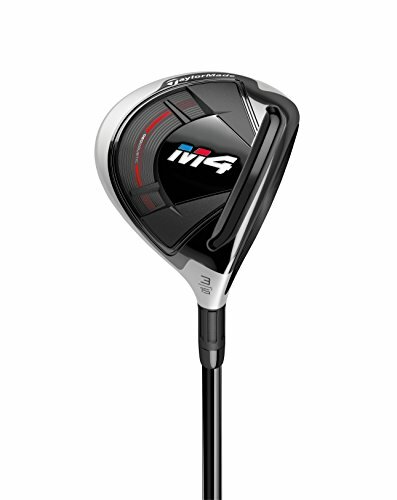 The Winner: TaylorMade M4, Great Distance & Forgiveness The TaylorMade M4 3-wood is the top performing driver in my tests this year thanks to its ultra-hot face and solid forgiveness. While it doesn’t have the adjustability options you may find in other TaylorMade woods, it’s a great option for high handicappers who are just looking for something they can get off the ground. We recommend it. Yet, buying one fairway wood or two for beginners can be a confusing task. With so many options and different features out there, it is hard to find the right fairway woods that can complement your driver and other clubs. In this buying guide, we will have an in-depth discussion for game improvement fairway woods, as well as several products we will recommend. Without further ado, let us first begin with our product reviews. 4.1 Why should I use fairway woods if I already have several hybrids? 4.2 How do I choose the right fairway wood for me? 4.3 What are the key benefits of fairway woods for high handicap golfers? 4.4 With adjustability being the trend of golf club designs nowadays, what forms of adjustability should I look for in a fairway wood? 4.5 Are there things to look for that differentiate fairway woods for high handicappers? 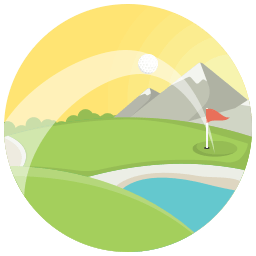 4.6 Can a beginner golfer use fairway woods? 4.7 Are there any particular brands I should look for? The TaylorMade M4 3-wood is the top performing driver in my tests this year thanks to its ultra-hot face and solid forgiveness. While it doesn’t have the adjustability options you may find in other TaylorMade woods, it’s a great option for high handicappers who are just looking for something they can get off the ground. The sole of the M4 is an unheralded but important aspect of it. It’s perfectly shaped to deliver a good strike to the ball, even in fairly tough lies. I found it dug through the rough well and gave long, high-flying shots. The Speed Pocket built into the sole makes the face ultra-hot, giving both sweet-spot contacts and mis-hits remarkable distance. One of the most important aspects of the borderline-indefinable quality known as “feel” is the sound of the club. In the past, I’ve found TaylorMade woods to perform well but to have a thuddy, almost plastic sound. This is common to woods that use carbon fiber composite materials instead of being solid metal. TaylorMade has paid a lot of attention to this aspect, and have really improved the sound. A well-struck ball leaps off the face with a satisfying crack, aided by the sonically tuned fluted hosel. The carbon-fiber material used in the crown allows TaylorMade to move the center of gravity low and forward, which provides the hitherto difficult-to-achieve combination of high launch and low spin. Low-spin clubs are usually hard for high-handicappers to get in the air, but the TaylorMade M4 launches nice and high. The lower spin reduces the severity of hooks and slices, resulting in more fairways and greens hit. The Callaway Rogue Fairway Wood has quickly developed a reputation as one of the hottest clubs on the market since its release in 2018. With that buzz comes a price tag to match, that still comes with the full 1-year warranty. Featuring collaborative aerodynamics from Boeing, the Rogue Fairway Wood is one of the longest fairway woods on the market. The Callaway Rogue fairway woods feature “Jailbreak Technology,” which is designed to maximize clubhead speed through their aerodynamic streamlining in collaboration with airplane manufacturer Boeing. This translates into a very fast fairway wood with a hot face that really gets the ball up in the air and flying. 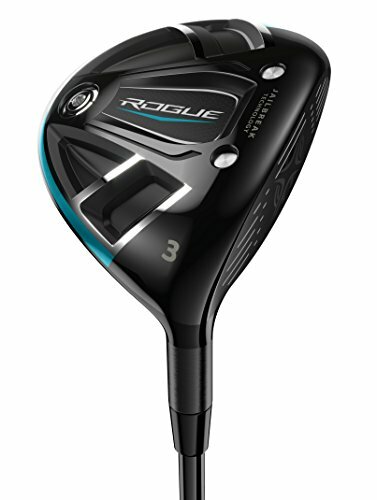 High handicappers may find that the Rogue 3-wood is easier to hit and longer than their drivers, so you may wind up being like Henrik Stenson, hitting 3-wood off of most tees. The increased clubhead speed also helps generate more lift off the fairway and even from the rough. While Callaway has done everything it can to maximize distance, the forgiveness of the driver is a bit compromised. Heel and toe hits fly offline without much directional correction. The distance is still good, but it would be nice to see more perimeter weighting to help mis-hits curve back to the intended target. High handicappers are always looking for more distance, so the Rogue is a good choice for shorter, straighter hitters who would benefit from longer shots. If you’re a high handicapper because you’re always in the woods trying to find the ball you hit 50 yards offline, you may want to look for a club that offers more directional correction. The TaylorMade RBZ fairway wood is a sleek, all-black design with a very low profile that looks like its primed to scoop the ball up off the ground and launch it at your target. An affordable option from a top manufacturer, it’s a great option for players who want to use the best equipment but don’t want to pay the premium price that TaylorMade’s fanciest models command. TaylorMade is always pushing the boundaries with technological advances and gimmicks that promise to hit the ball longer and straighter every year. But they made their name by making simple, well-designed clubs that flat-out perform. The RBZ Fairway Wood forgoes the fancy materials and adjustability of many modern fairway woods. Instead, it’s a classic, effective design that’ll suit any golfer. The RBZ Fairway is very vertically compact, and rests very low on the ground at address. This gives a great visual cue that you’ll be able to deliver the club to the bottom half of the ball and send it flying high in the air. High-handicappers often lack pre-swing confidence, so a club like the RBZ Fairway that settles nicely behind the ball is a good choice. Like the M4 above but even more pronounced, the RBZ Fairway features TaylorMade’s legendary Speed Pocket, which results in great distance across the whole face. Heel and toe strikes still take advantage of the Speed Pocket and travel a good distance with surprisingly good roll-out. The only drawback of the deep Speed Pocket is that it results in a high-pitched, tinny sound. It’s not as satisfying as I’d like on sweet-spot contact, but the shots aren’t affected. And that’s what it all comes down to. Callaway’s Steelhead XR Fairway Wood is one of the best ones tested this year. It’s an update of the classic Big Bertha Steelhead that made its debut in the 90s and quickly became one of the best-loved fairway woods of all time. The Steelhead XR honors that legacy with great distance, hittability and forgiveness. The classic Callaway Big Bertha line from the 1990s all featured their “Warbird” sole plate, which featured slight cutouts at the heel and toe and a sort of v shape under the hitting area. I remember the Big Bertha driver was the first one I could successfully hit from the fairway thanks to the excellent turf interaction with the Warbird sole. The new Callaway Steelhead XR features an updated model that Callaway calls the Hawkeye sole, a worthy update to the avian theme. The Hawkeye sole pops the ball nicely off the turf without digging, and it fights through the rough nicely. Many high handicappers struggle getting the ball airborne off of tight fairway lies, but they’ll find the Hawkeye sole plate does a great job of picking the ball right up off the ground no matter how tight the lie. It’s even effective off of hardpan and pine needles. Despite the name “Steelhead”, the XR comes with a modern carbon crown, the light weight of which allows for a redistribution of weight for an optimal center of gravity and a big sweet spot. Even non-sweet-spot strikes are rewarded with acceptable results, as toe shots tend to curve back to the middle and heel strikes attain unexpected distance. Can I trust a refurbished club? Callaway’s refurbishing program is one of the best in the business. 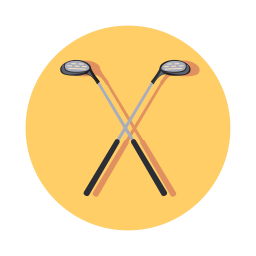 They start with barely-used clubs (often used just for fitting, with hitting tape or other protective coating) and make sure they look good-as-new. You’ll save over a hundred dollars and still get a full 1-year manufacturer warranty. If you put a brand new Callaway up against a refurbished one, I’d be very surprised if you could tell the difference. This makes for a great value for high handicappers who aren’t sure that they want to drop $300 on a new club. 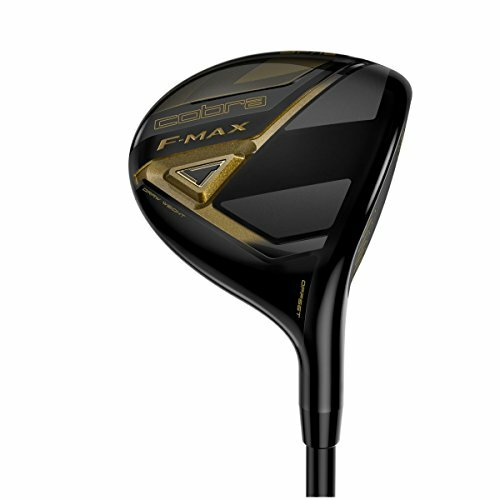 The Cobra F-Max Fairway Wood is designed with one primary goal in mind: help the high handicapper who tends to slice the ball. Its center of gravity placement and hosel design will both help the golfer square the clubface through impact, and will impart right-to-left sidespin to encourage a high, right-to-left ball flight. The very light shaft and clubhead together help the high handicapper generate clubhead speed while encouraging a full release of the clubhead through the swing. While most fairway woods come with shafts around 85g, the Cobra F-Max Stiff shaft is only 65g, so you should notice an uptick in swing speed. A feature you find more often in putters and irons is an offset, designed to help get the clubface closed or squared at impact. Players who tend to slice the ball do so because the clubface is open to the swing path when it hits the ball. 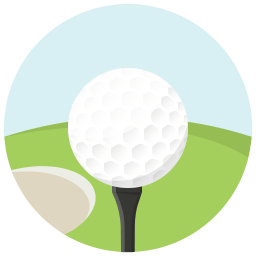 An offset club sets the clubface back from the hosel ever so slightly, giving the golfer that extra split-second of time to rotate their hands and release the clubhead through the ball. This can help promote a draw, or at the very least less of a slice. You don’t usually see lower handicap golfers using much offset since they’ll want to work the ball both ways. But if you always fight a slice, the Cobra F-Max design can help straighten you out. You may even manage to hit a draw every once in a while! The other factor that will help fix a slice is the addition of back/heel weighting. This moves the center of gravity closer to the heel of the club and imparts draw spin on the ball no matter where on the face you make contact. This will help correct a slice, but if you already hook the ball it will accentuate that. The Orlimar Escape Fairway Woods are designed for slow-swinging high handicappers to help them dig the ball up off the ground and get them in the air. They produce a ball flight more akin to a lofted iron and feature very little roll-out after landing. They’re available from 3-wood through 15-wood, so if you like it you can essentially carry seven Orlimar woods to cover most of your distances. The 60-gram graphite shaft is as light as you’ll find in any fairway wood. Quite frankly, it’s too light for most golfers, but slow-swinging seniors and high handicappers will find a lot to like here. The light, flexible shaft allows for greater clubhead speed, which helps get the ball up in the air. The 3-wood comes with 16 degrees of loft, which is what you might find in 5-woods from other manufacturers. Orlimar also offers, 5-, 7-, 9-, 11-, 13- and 15-woods in lofts all the way up to 38 degrees. That’s an 8-iron in most sets! So if you have a slower swing or have trouble getting irons up into the air, the Orlimar Escape woods should be on your short list. Orlimar’s Escape features a shallow face and a unique design that gets under the ball and sends it flying high in the air. This makes it very easy to hit, but means you won’t get a ton of distance and not much in the way of roll. If you’re using the Orlimar woods as iron replacements, this is a good thing! But if you’d like a more traditional 3-wood that’ll give you 15-20 yards of roll after it lands, this isn’t for you. 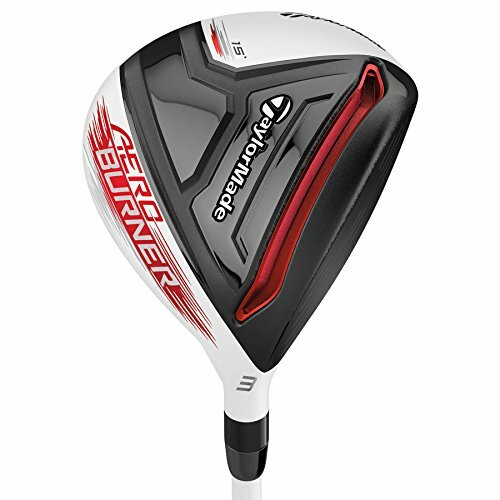 TaylorMade has yet another entry on our list of top fairway woods with their Aeroburner model. A distinctive white clubhead design together with a deep Speed Pocket and raised channel on the crown make for a unique-looking fairway wood. The alignment aid is one of the best ones tested, and the distance when you hit the large sweet spot is certainly satisfying. Though the TaylorMade AeroBurner fairway wood doesn’t have an offset like the Founders Club or Cobra woods reviewed above, it still seemed to offer a draw bias. This could be due to the weighting or the hosel-style, but either way it’ll help you correct a slice. For many golfers, hitting a baby draw with fairway woods is the holy grail, as it’s generally the longest shot you can hit due to good roll-out. The TaylorMade AeroBurner is built for hitting high baby draws. The alignment aids on the TaylorMade AeroBurner are the best among fairway woods tested. In addition to the “AeroBurner” logo that’s situated perfectly above the sweet spot, there’s a channel cut into the crown of the club that flanks the sweet spot and really helps focus your eye. High handicappers will appreciate this alignment help as simply lining up with a proper setup and alignment is frustratingly difficult to pull off. If you’re using the Aeroburner from the tee, I’d suggest using your ball’s alignment aid to point in the direction you want the ball to start. Then line it up with the AeroBurner and let your feet and body follow those lines. You may feel like you’re aimed way right or way left of the target, but trust it. Eventually, with enough practice, you’ll start to aim all of your clubs better. I find at the beginning of every season I tend to aim farther right than intended. It takes a few sessions before I start aiming properly, and clubs with good alignment aids help. For a long time, all of TaylorMade’s woods were available only in an all-white design. It’s a clever marketing move, as it was easy to see everyone on TV using a white clubhead. But I’ve found many golfers aren’t a big fan of it. And the fairway woods tend to get dirty easily, especially if you’re hitting from the rough a lot. It takes a bit of getting used to, but if the results are satisfying, I’m guessing you’ll adjust without too much trouble. The AeroBurner fairway wood has a nice, large sweet spot, which is great. 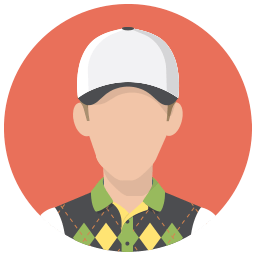 But most high handicappers will still miss this large sweet spot fairly often, and off-center contacts aren’t as rewarding with the AeroBurner as with the higher-rated clubs. If you’re looking more for distance and a high ball flight than forgiveness, the AeroBurner is a good value. The Pinemeadow PGX Offset fairway woods are flat-out the most offset woods I’ve ever come across. If you’ve tried mild offsets like the Cobra F-Max and you’re still hitting banana slices, you may want to look into this extremely offset offering from Pinemeadow. They’re high-loft, high-spin clubs designed to get the ball in the air and help high handicappers stop slicing. The PGX fairway woods have a set of small arrows for an alignment aid, and I wish it was just a dot instead. When setting up, the offset makes it look like the arrows are pointed way left of the target. This can cause aiming issues, especially for people with a bad slice who are used to aiming way left to begin with. 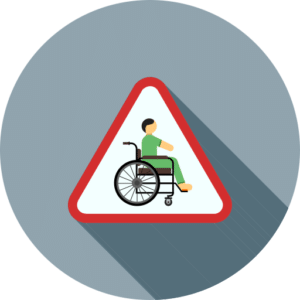 The arrows may cause subconscious overcorrection, which is the last thing a slicer wants. The PGX is focused on keeping the ball left, and it does a pretty good job of that. But overall distance and forgiveness are somewhat lacking. It just doesn’t have the lively face or high-tech design advantages of most of the other woods reviewed here. Ball flights are high but a bit short. However, most importantly, they tend to draw or hook. So the one trick they attempt, they pull off. The PGX is an inexpensive club geared at the recreational golfer who just wants to stop violently slicing the ball. It won’t win any beauty contests (in fact, it gets scratched up pretty easily even if you’re diligent about keeping its headcover on), but at a price point around $50 and lofts available up to a 15-wood, it might be a lifesaver to the right high-handicapper. Even pros don’t hit the sweet spot every time, and high handicappers are going to hit the ball all over the club face. With the technology and materials available in clubs today, even mis-hits should be playable. 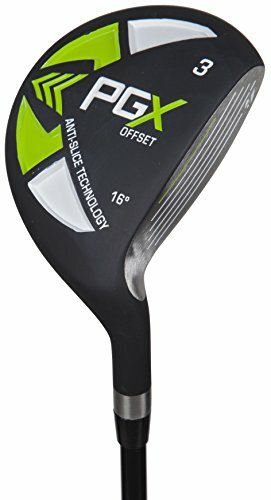 I’m looking for a fairway wood that’ll turn a slice into a fade and will still provide useful distance on a poor swing. While no club can fix a chunk, some are better than others at turning bad shots into “that’ll work” and “just ok” shots into good ones. No matter how forgiving a club is, it also needs to be long. Golf courses are getting longer and longer every day, so you don’t want to be stuck using a club that can’t keep up with the demands of the modern game. You want a fairway wood with a thin, lively face that launches it as far as possible down the fairway. Par 5s should be scoring opportunities instead of scary monsters. Distance has never been more important in the game of golf. Golf clubs get more and more expensive every year. With hand-crafted graphite shafts and carbon fiber compound clubheads becoming ever more common, the manufacturing (and marketing) costs are reflected in the retail price tag. So when you pay that much for a golf club, you want it to last. Durability is reflected in the craftsmanship and build quality. A club should be well-made enough to last you several years, if not decades. If a fairway wood costs twice as much as the one next to it, shouldn’t it hit it twice as far and twice as straight? You’d hope so, but of course that’s not the case. One club might eke a few more yards out of a mediocre swing than another, but if it costs exorbitantly more, it might not be worth the extra bucks. Is this the hot new fairway wood everyone’s talking about? Does it feature space-age materials to help the ball fly higher and longer? Is it from the same brand that all the pros use? A more desirable club will have features you may not find in other fairway woods, and it’ll retain its value better if you ever try to re-sell it. More recognizable brands will be more desirable for good reason: they’re usually on the cutting edge of technology, with tons of money poured into research and development each year. 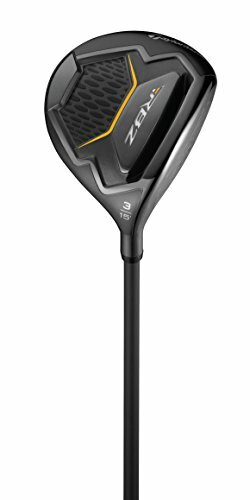 Why should I use fairway woods if I already have several hybrids? 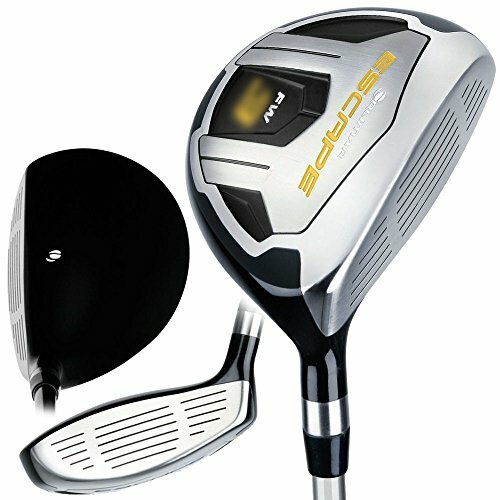 Hybrids are hugely popular nowadays for all skill levels of golfers. 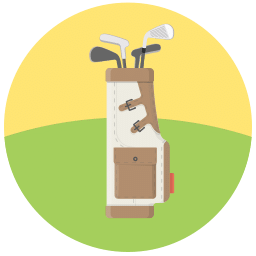 High handicappers especially can benefit from their use, but a smartly laid out golf bag will include both fairway woods and hybrids. Hybrids are designed to incorporate the best qualities of fairway woods into a replacement for hard-to-hit long irons. They were never intended to replace the 3-wood or the 5-wood, only to augment an iron set for someone who finds it easier to hit woods than long irons. Fairway woods have stronger lofts and are designed to hit the ball farther than hybrids. They should be used for long shots off the fairway or for tee shots when a driver might get you in trouble. (If you’re interested in hybrid clubs, we have reviewed them here). Due to the head shape and design, a fairway wood will fly and roll out further than a similarly lofted hybrid. The fairway woods generally have longer shafts and generate more ball speed. Ultimately, fairway woods have different purposes and characteristics compared to hybrids, and there’s room for both in your golf bag. How do I choose the right fairway wood for me? Loft dictates flight trajectory and distance. The higher the loft, the higher the flight trajectory and the shorter the ball will travel. Higher lofts are also easier to hit than stronger ones. Fairway woods have higher lofts than drivers, with the standard 3-wood loft coming in between 14 and 16 degrees. The higher the number, the higher the loft: 5-woods have lofts between 17 and 20 degrees. Higher lofted woods (7-, 9-, 11-, etc) are often called utility or specialty woods. The higher the club number and the loft, the shorter the shaft length. 3-woods need long shafts in order to generate enough clubhead speed to drive the ball into the air. 5-woods have more loft and thus shorter shafts for the perfect clubhead speed and launch angle. Fairway woods are usually made from three different materials, which also often dictate size. Stainless steel is the most common and most affordable material used. It’s quite strong but relatively heavy compared to other materials. Because of its weight, clubhead size is limited. Some golfers like the compact profile of steel wood heads, but most high handicappers will benefit from more modern materials. Titanium is a material commonly used to make drivers or larger fairway woods for hitting from the tee. Titanium is relatively light compared to stainless steel, yet also very strong. With titanium, manufacturers can push the center of gravity (CG) deeper in the club head, which translates to higher natural flight trajectory. Titanium faces can also be made really thin, providing better distance. Recent advancements in technology have allowed manufacturers to combine materials such as carbon with titanium or steel to create ultra-lightweight, ultra strong heads. As a result, we get larger, more forgiving heads without sacrificing performance. The light weight also prevents twisting on mis-hits by allowing greater distribution of weight to the perimeter of the head. Multi-material clubs are generally the most expensive, but deliver the best results. You may want to use fairway wood off the tee, as a 3- or 4- wood is easier to hit than driver. They won’t travel as far, but many golfers find that they’re easier to control; hitting the fairway more often is an acceptable trade-off for the distance lost by not hitting driver. Pros like Henrik Stenson feel so much more comfortable with their 3-woods that you’ll only see them hitting driver on the longest holes. We all know that long irons can be really difficult to hit well. Higher lofted fairway woods can be good alternatives to long irons and hybrids with their larger club heads, increased forgiveness, and lower center-of-gravity. 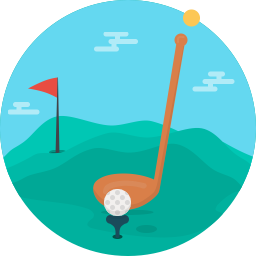 As a general rule, a 5-wood can replace a 2-iron, a 7-wood for 3- or 4- iron, and 9-wood can replace the 5-iron. Ever wanted to reach the par 5 in two? Some holes are simply too long to reach with a hybrid or long irons. In these cases, a 3- or 4- wood with a lively clubface can often do the job from the fairway. What are the key benefits of fairway woods for high handicap golfers? High handicappers’ clubs are commonly designed with two things in mind: more forgiveness and distance on off-center strikes. With fairway woods, it is no different. Fairway woods for high handicappers are designed to be as forgiving as possible. This is mainly achieved by making the head bigger and moving weight to the perimeter, giving you a bigger sweet spot to hit the ball. Other approaches in design can also be used, such as manipulating the center of gravity (CG) position or thinning the face to flex more during impact. With adjustability being the trend of golf club designs nowadays, what forms of adjustability should I look for in a fairway wood? By using adjustable hosel, players can modify the loft of the fairway wood. Usually achieved with a removable screw in the heel, the player removes the head and re-positions it on the shaft in the desired loft setting. Usually, this method allows the loft to be increased or decreased by 1-3 degrees. However, it is not only the loft that is changed with this method, as the lie may also be affected. ‘Lie’ is the angle of the shaft in relation to the ground at address, which will affect the horizontal flight of the ball. Some adjustable hosels allow us to change loft angle without affecting the lie, which is worth considering when purchasing a club with adjustable hosel. In the end, adjustable hosels are designed to optimize your ball flight, trajectory, and distance. 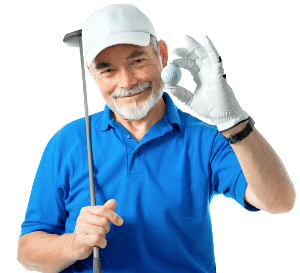 Hitting several balls at each available setting with a launch monitor and a trained professional interpreting the numbers is the best way to determine which setting is best for you. Face angle, as the name suggests, is the angle of the face at address. We call the face angle ‘squared’ when it is totally perpendicular to the ball. Some fairway woods have soles that cause the club to naturally sit square behind the ball, which can help the golfer align the clubhead precisely. Adjusting the face angle can have a quite significant impact on ball flight: a closed clubface (“draw” setting) can help players who have a tendency to slice the ball, while an open clubface (“fade” setting) can help with hook tendencies. Having an adjustable weight feature has essentially become the norm in drivers to manipulate center of gravity positioning. It is less prevalent in fairway woods, but some manufacturers do offer it. Manipulating the weight position will affect the center of gravity, which will, in turn, affect forgiveness, flight trajectory, and distance. Are there things to look for that differentiate fairway woods for high handicappers? High handicappers should be looking for two traits in their fairway woods: high launch and maximum forgiveness. 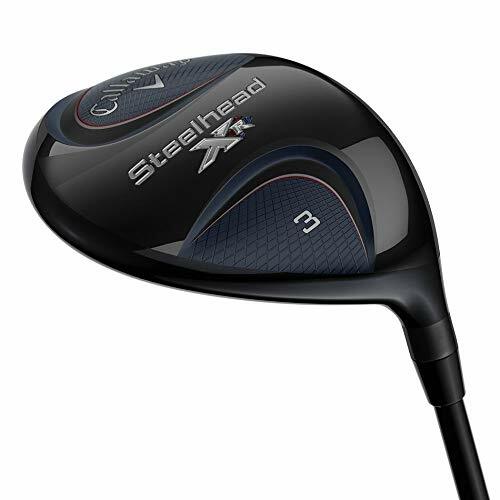 Fairway woods for high handicappers come in relatively large head sizes. This is due to the fact that larger heads can accommodate bigger moment of inertia (MOI), which will increase forgiveness. There are other technological approaches that can increase forgiveness, which will vary greatly between manufacturers. Most of them will have similar principles: manipulating the center of gravity position or enabling the face to flex more for an even bigger sweet spot. Before purchasing your fairway wood, it is important to consider how forgiving it is on mis-hits. Every golfer wants to get as much yardage as possible out of their equipment. Different manufacturers can use different technologies to achieve more distance. The more adjustability options presented, the better the chance you’ll have of optimizing your distance. A light clubhead with a springy clubface will provide the most distance to a high handicapper. Can a beginner golfer use fairway woods? Yes! In fact, fairway woods are among the easiest clubs to use because they are light enough to generate good clubhead speed, and the size of the wood makes it more forgiving than an iron. The beginner often finds the low center of gravity very helpful in getting the ball airborne. Fairway woods are an invaluable tool at every level of golf. Are there any particular brands I should look for? TaylorMade is the most popular manufacturer of drivers and fairway woods. Many of their top notch technologies and designs for their drivers are also implemented in their fairway woods. TaylorMade woods and drivers are known for their distance and forgiveness, two key qualities we are looking for. It’s hard to mention TaylorMade without mentioning Callaway, arguably their biggest rival in the world of golf equipment. Callaway is known for integrating modern technology into classic designs. If you want great looks and feel, it’s hard to go wrong with Callaway. Cobra is a fast-rising brand in the world of drivers and woods. After peaking in the 90s when Tiger Woods used a King Cobra driver to bomb it past his fellow pros, Cobra’s market share slowly declined until recently. It’s seen a resurgence in popularity recently with Rickie Fowler’s use of Cobra woods and irons, and they’re offering truly cutting edge technology and some of the best adjustability features we’ve seen in fairway woods.